Ariba Medical Spa Has the Best Laser Hair Removal Options Available for You. Talk to One of Our Doctors or Staff About What Options or Treatment Plans Are Best for You. We are Conveniently Located at 37553 Fremont Blvd, Fremont, CA 94536. Contact Us Today for More Information. With the Syneron Candela® GentleLease Pro® system, more and more men and women are getting rid of unwanted body hair through advanced laser hair removal treatments. 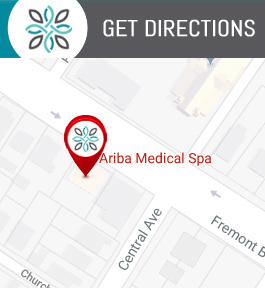 Under the direction of leading aesthetic specialist, Tariq Mirza, MD, the team at Ariba Medical Spa in Fremont, California can help you achieve the smooth skin you’ve always wanted. Schedule your laser hair removal consultation by using the online scheduling system, or by calling the clinic. During your laser hair removal session, your aesthetic specialist glides the Candela handheld laser device over your treatment area. Each pulse of light gently targets and treats hair follicles. While some hair falls out during your treatment, it takes time for most treated hair to shed. Over the following weeks, treated hair gradually starts to fall out on its own. Gently exfoliating your skin can minimize issues with bumps, and help speed up the shedding process. When and if the hair grows back again, it appears lighter and thinner. Eventually, after several treatments, treated hair should stop growing back all together. The ideal candidates for laser hair removal have traditionally included men and women who have fair skin and dark hair follicles. That was because the laser is attracted to dark pigments in hair follicles. However, with advancements in laser technology, the requirements have expanded. With the revolutionary Candela system, you may qualify for treatment, even if you have darker skin or lighter hair. The powerful Candela 1064 nm Nd:YAG laser is effective for all skin types and hair colors. Most men and women notice a reduction in hair within a week or two after their first appointment. Depending on the color and coarseness of your hair, you may need up to six sessions or more to achieve optimal results. While laser hair removal is the only lasting solution available for smooth skin, occasionally, some hair does start to grow back. This typically stems from new hair growth due to hormonal changes. If you start noticing a few hairs after your treatment is complete, the team at Ariba Medical Spa can schedule a touch-up visit to resolve this issue. Not at all. Dr. Mirza and his team want your laser hair removal treatment to be as quick and painless as possible. If needed, they have topical numbing cream to minimize your discomfort in sensitive areas. Plus, Candela’s patented large spot delivery system in the GentleLease Pro® laser is known to be the fastest dual wavelength hair removal laser available. Because the system covers a large area in a short amount of time, you will be in and out of the office in no time. Book a consultation at Ariba Medical Spa to see if laser hair removal is right for you. Schedule through the online booking system, or call the clinic.